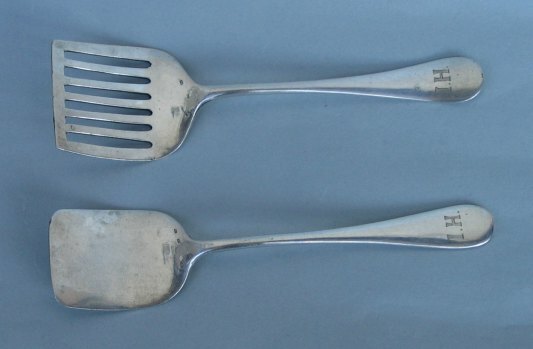 this pair of silver flatware (above a herring fork) was made in Austria after 1925. 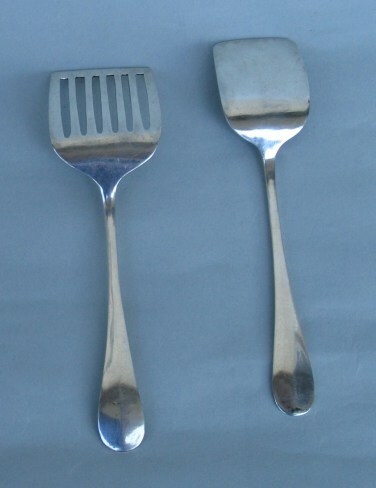 They have hallmark 800/1000 purity degree and silversmith K S. The monogram engraved on the handle is I.H. The servers are 6 in. long (cm. 15) and were bought from an Italian dealer in an Antique Market.